Just out of storage since 2010, the 90 year old owner that had this had this built passed away in 2017. 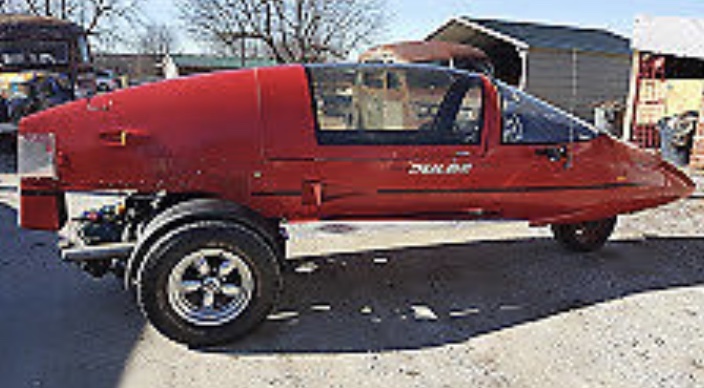 He spent 10k buying the pulse body by itself then had the frame custom built. 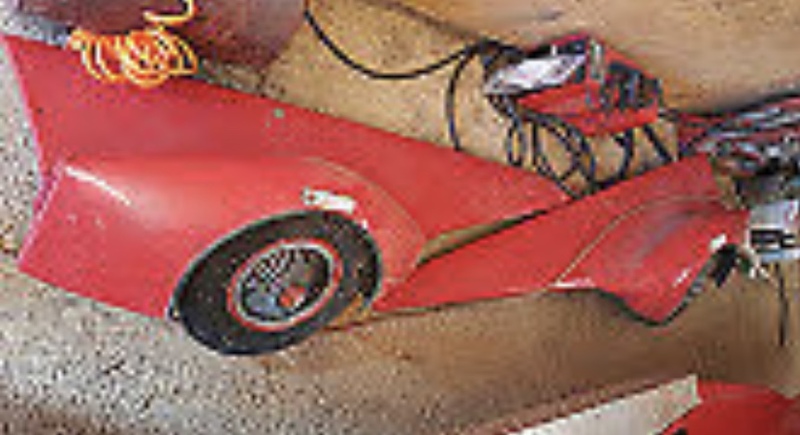 Seller has pictures that came with the trike showing the build. It has a Porshe 214 4 cylinder drivetrain, automatic transmission, lights, turn signals, heater blower, front disc brakes and radio. Streetable was running and drove locally in 2010. 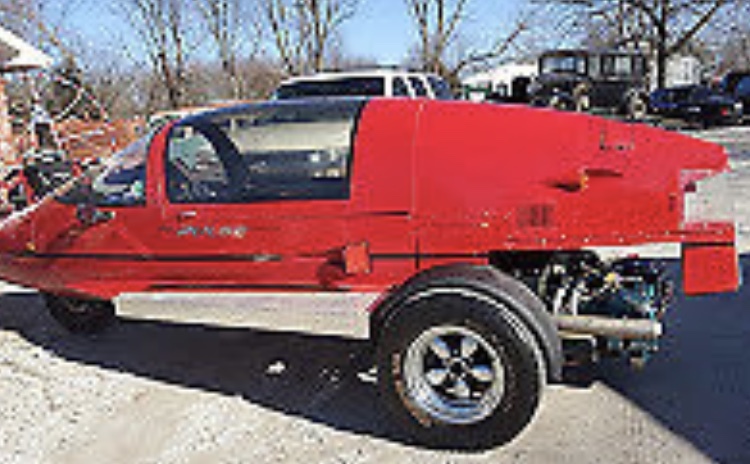 Only has 7,300 miles on the trike. Clear title that's original to the 85 pulse. I have both outriggers with the wheels that were part of original body, original pulse manual. 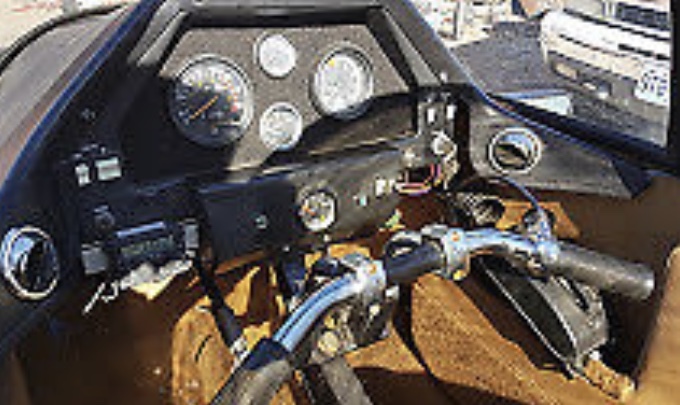 Pulse #83 was originally powered by Yamaha 400 twin W/5-speed transmission. Deluxe leather interior, towbar, AM/FM stereo cassette. Has 858 original miles. Legally registered in California - thru March '02 as a motorcycle. The owner was Ken Walkey who kept his Pulse at his hanger at "Whiteman Airport" - Hanger A-2 in Pacoima, California. The Pulse was sold in May of 2002. New Owner - possibly Republic, MO......? Good interior, but could use some new carpeting. 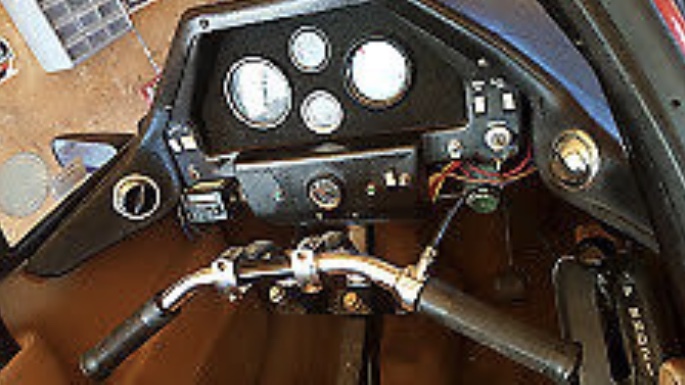 Structurally okay with solid outrigger attachments, clean dash and instrument cluster. The mileage is about 6,000. 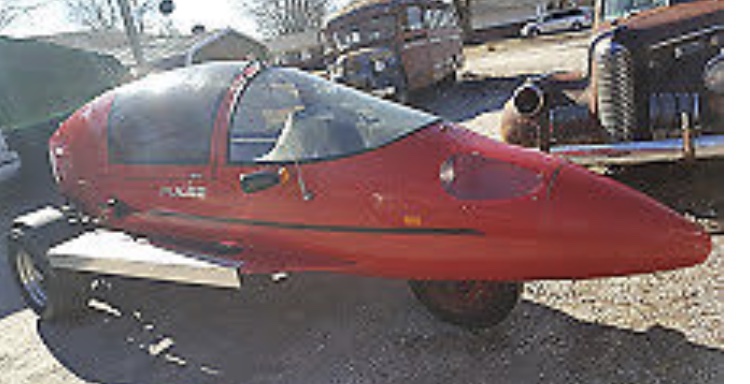 The canopy and windshield are good. The outriggers have been cut to reveal the small wheels.